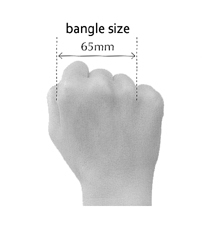 To assist customers Bilingual has provided the below ring & bangle size charts & a brief instruction guide. Alternatively you can order a complimentary ring sizer to be sent out to you in the post. This is within theaccessories section. Take a piece of stiff cardboard, plastic or thick wire and wrap it around the finger you will be wearing the ring on. Then mark the exact spot where the ends join. Please do not use string. With a ruler measure the length of this piece of cardboard or wire. Make sure it goes past a knuckle as this is eventually going to happen with the real ring. Read from the chart below to determine your ring size. If the ring your are purchasing has a wide band allow an extra to full size. If you can get to a jeweller you can do this: Put your partner's ring on your finger. Pick a finger where the ring fits as close to a normal position as possible. Mark two marks, one on either side of the ring. Leave them there and go to a jeweller and tell them you want to find out what size ring goes on your finger where these marks are. That is going to get very close to what you need. Make sure it goes past a knuckle as this is eventually going to happen with the real ring. The table outlines ring sizing for both local and international customers. A simple way to work out your bangle size is to measure the length between the first three knuckles on the hand the bangle is to be worn on. Make a fist and measure the length from the outside of the first knuckle to the point between the third and fourth knuckle. 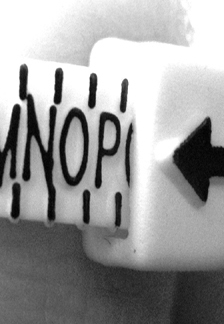 Refer to the fist image below to determine the correction measuring technique. If you are buying for a bangle for a gift, the medium size is the most popular. You can take advantage of our LOVE IT OR SWAP IT guarantee if sizing is an issue.